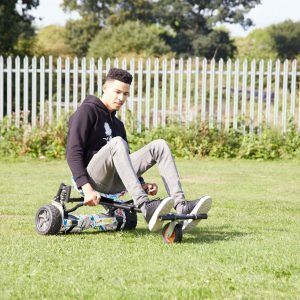 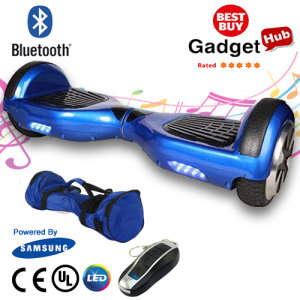 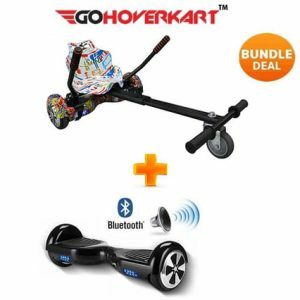 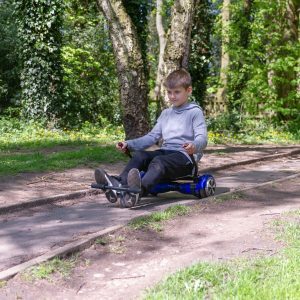 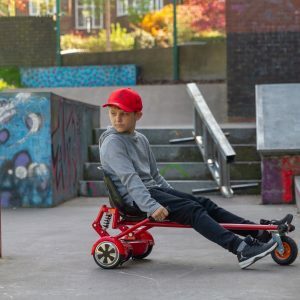 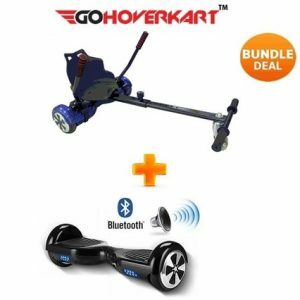 This Bundle comes with the Official UK Segboards 6.5″ Chrome Blue Segway Hoverboard, a FREE built-in speaker with Bluetooth, enabled for music streaming + Remote + Carry Case AND the Monster Hoverkart All Included! 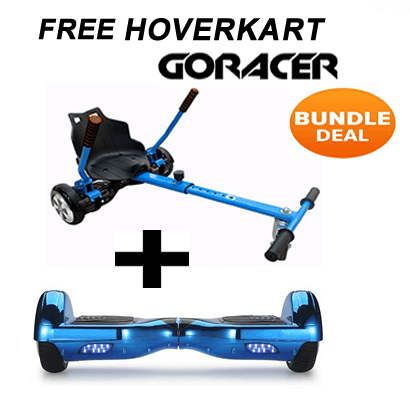 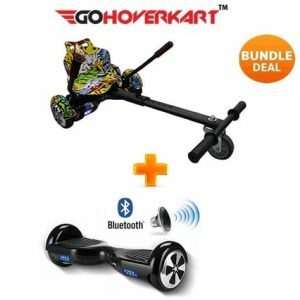 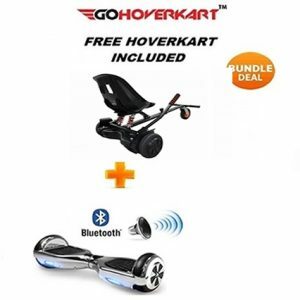 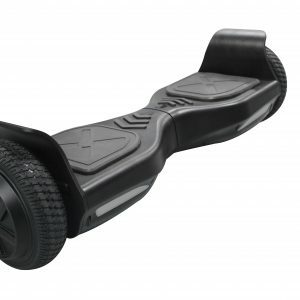 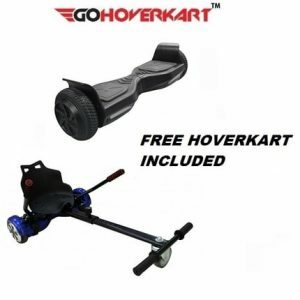 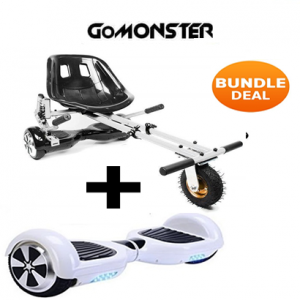 With this amazing deal you will get a FREE GoMonster Hoverkart when you purchase a 6.5″ Hoverboard Segway. 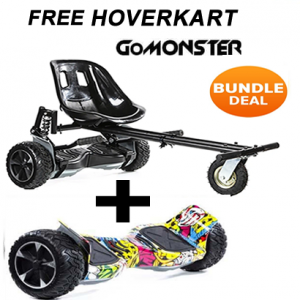 The official GoMonster Hoverkart is the classic and best hoverkart with a Sport Racing Seat. 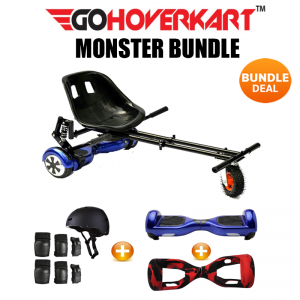 This bundle allows you to use the 6.5″ Segway Hoverboard on it’s own or with the Monster hoverkart to truly enjoy a go-kart experience!